NDA Lifetime Achievement Award - Awarded to NDA members who have shown long-term dedication, creativity, inspiration, and effort within the NDA. 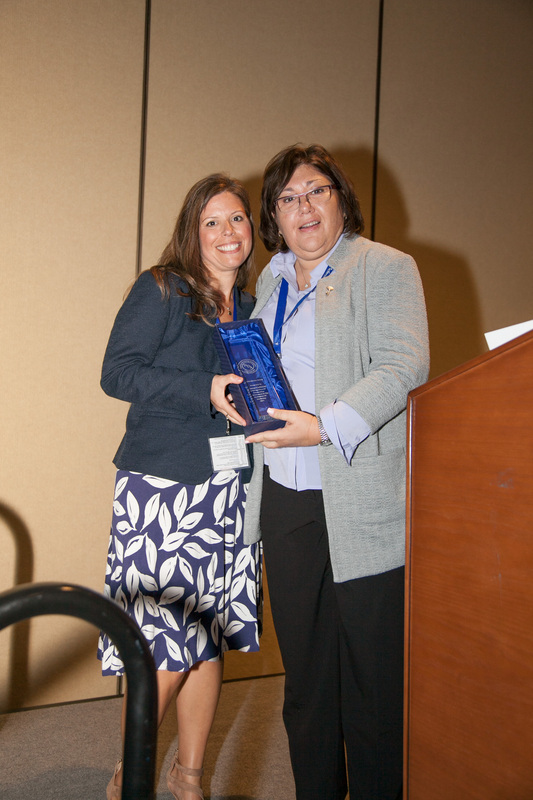 This year, NDA recognized JoAnn Disanti for her contributions to the organization as a member, Board member and President. NDA Annual Achievement Award - Awarded to NDA members who have provided an added value to the organization over the past year. The NDA recognized Tracey Gulbicki and Melissa Lonzo as recipients of the 2017 Annual Achievement Award! 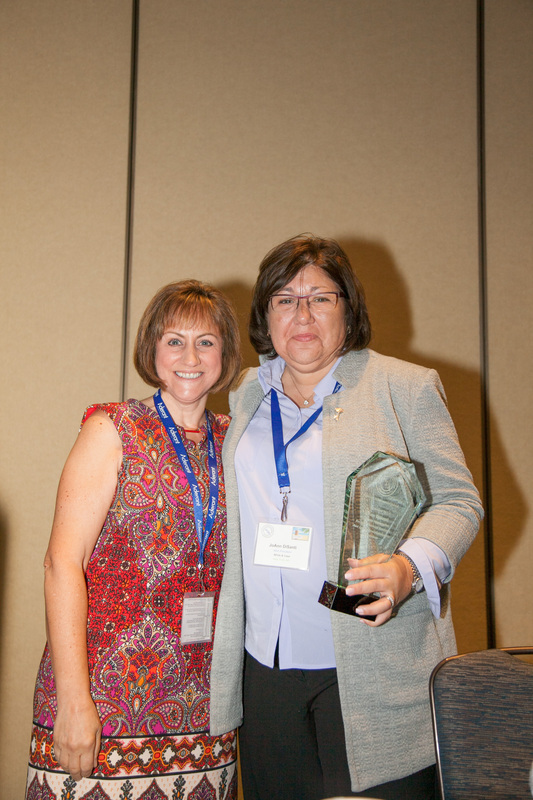 The Lifetime Achievement Award was presented this year to outgoing President JoAnn DiSanti. Elaine Screechfield, the organization’s incoming President made the presentation. Under JoAnn’s leadership, the NDA grew to serve 800 new members and more than doubled our sponsorship. 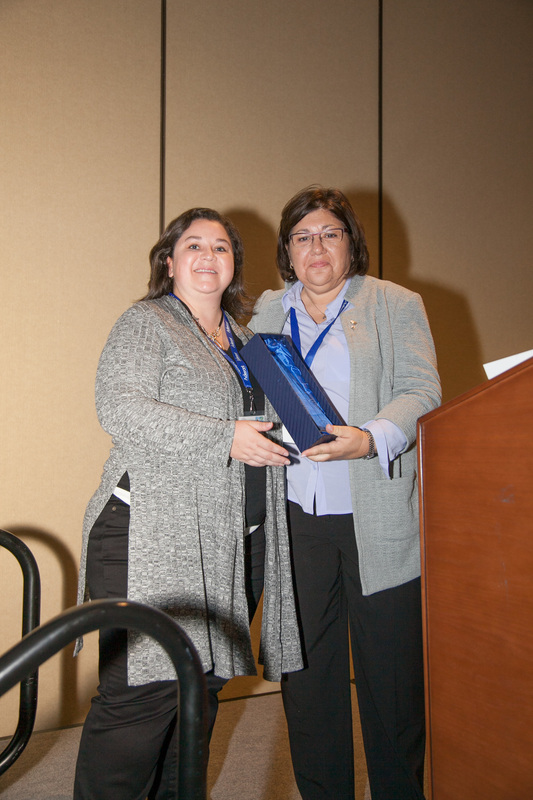 Other accomplishments during her tenure include the creation of seven local chapters, an informative resource library, an updated web site, a monthly newsletter, and our annual conference that have seen the number of attendees grow each year. The NDA would like to thank JoAnn for her time and efforts over the past three years and look forward to her continued guidance and insights as she becomes a member of the NDA’s Executive Board. Tracey Gulbicki is a Litigation Docketing Analyst for Venable, LLP. She is responsible for tracking and maintaining the calendar for all litigation cases filed out of Venable’s Washington, DC, Tysons Corner, VA, and Rockville, MD, offices. Over the past 4 years, Tracey has been involved in two department implementations at two different law firms, created department best practices and processes, and has been a lead on implementing quality review and conducting department training. Tracey is a member of the NDA Membership Committee and has actively helped start local chapters across the country. Since 2015, she has served as co-chair of the Washington, DC local NDA chapter where she takes a lead role in developing continuing education topics for each chapter meeting. Melissa Lonzo has been a docketing specialist at Harness, Dickey & Pierce since 2010 and specializes in PCT filings in the IP Docket Department. Prior to joining Harness, Dickey, Melissa worked outside the IP field and she has made it her mission to learn IP law and docketing since coming into the field. Her motivation to excel has benefited Harness, Dickey in that she has written procedures, collaborated directly with clients, and avails herself as a resource for her fellow coworkers. Melissa is familiar with all aspects of patent and trademark prosecution in the US, PCT and foreign countries. In Melissa's spare time, she enjoys watching sports and in particular, baseball.